Not convinced accounting was her future, however, Kelsey began by taking a variety of courses in sciences, business and more. She finally decided business was the right route for her and began working toward a diploma in the College’s Business Management program. In anticipation of transferring her College credits and attending a university to complete a degree, Kelsey spent a lot of time looking through program calendars of various institutions. Instead she discovered the College of the Rockies’ Bachelor of Business Administration: Sustainable Business Practices (BBA) was the best fit for her. “I think sustainability is becoming increasingly important in the world we live in today. Businesses are receiving pressure from the public to adopt sustainable practices. For that reason, I found value in the BBA program at the College, not only for personal reasons, as I am very interested in it myself, but also because I felt it gave me an advantage in the business world, ” she said. Once in the program, Kelsey was happy with her choice and the opportunities it presented. Through her capstone course, aimed at pulling together all of her learning into one project, she had was able to explore an industry that she was interested in and apply her knowledge. She also found a trip to Kelowna to compete in the Western Canadian Business Competition to be a unique learning experience – and a ton of fun. During the summer of Kelsey’s second year, she started working at BDO Canada LLP in Cranbrook as a co-op student. After two co-op terms, she was offered full-time employment upon completion of her degree. With her love of accounting now firmly cemented, Kelsey began working toward becoming a Certified Professional Accountant (CPA) immediately after completing the BBA program. She has been juggling full-time work and courses ever since. In September 2018, she wrote the Common Final Examination (CFE), a three-day examination requiring candidates to demonstrate the depth and breadth of their knowledge. Not only was she successful, but she finished on the honour roll, a distinction given only to the top one per cent of successful writers in Canada. 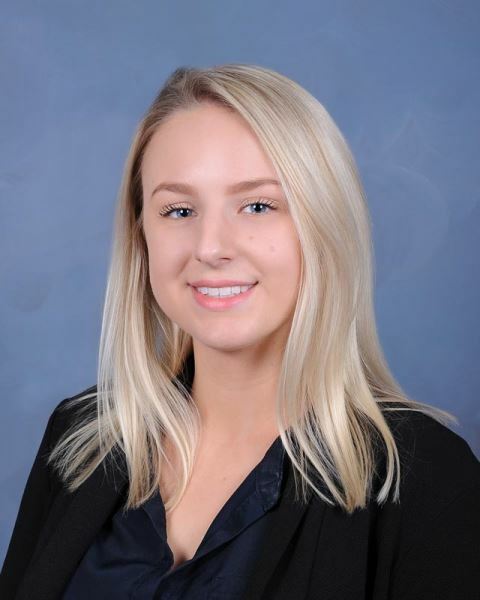 She is currently working on completing the required work experience and anticipates earning her CPA designation in Spring 2019. She plans to continue to work at BDO. Learn more about business programs at College of the Rockies.